Stacey Abrams proudly claimed her place as the Democratic nominee for governor of Georgia on Tuesday night — garnering 75 percent of the vote — in a race that’s already making history. Abrams, a lawyer and former House Minority Leader in the Georgia General Assembly, now pushes towards the general election in November where she will battle a Republican (there will be a run-off between Casey Cagle, the state’s Lt. Governor and Brian Kemp, the secretary of state). If she wins, Abrams would become the first African-American woman governor, ever, in the U.S.
Abrams, who was profiled in the April issue of ESSENCE, has worked to build a progressive, multiracial and multiethnic coalition. She was endorsed by elected officials such as Senators Kamala Harris and Cory Booker, Rep. John Lewis, and groups that include Emily’s List, The Collective PAC, Color of Change, and Democracy in Color, to name a few. Black women across the country played a role in her primary victory. “Stacey Abrams won this election because she reached out and engaged communities of color, particularly Black voters, on the issues that they care about, including the core priorities of economic and educational fairness and racial justice,” said Adrianne Shropshire, Executive Director of BlackPAC. During the primary, the political action committee teamed up with EMILY’s List’s voter mobilization and education project, WOMEN VOTE!, to run a paid media campaign in support of Abrams. In total, BlackPAC says it spent $1.2 million to engage Black voters with canvassers knocking on some 23,000 doors in Savannah. Additionally, BlackPAC says it sent two waves of mail to 152,000 households and aired television ads that reached more than four million Georgian voters. LaTosha Brown, co-founder of Black Voters Matter Fund, said her team worked diligently in tandem with other allies and stakeholders to help get out the vote. Higher Heights for America, a national organization which works to elect and empower Black women candidates nationwide, rallied its members, donors, and activists to help Abrams. “This is a monumental win, not only for Georgia but for our nation. Stacey joins the likes of Shirley Chisholm in a pioneering first. …as the first Black woman to be the gubernatorial nominee for a major party,” said Higher Heights co-founder Glynda Carr. 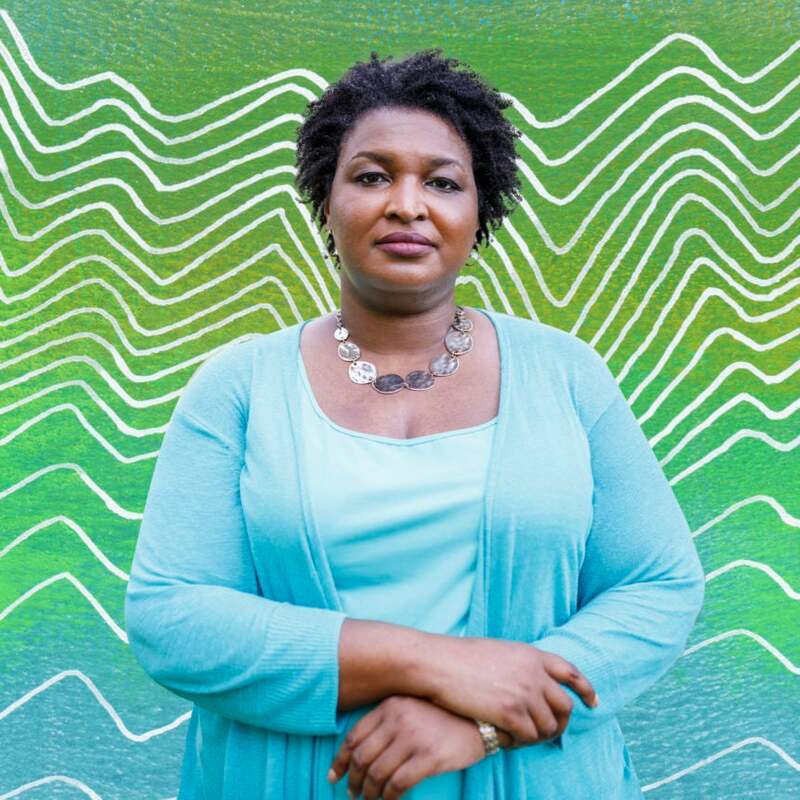 If victorious in November, Abrams would be the first Black woman elected governor in U.S. history. To date, only 11 Black women have been elected to statewide executive office. Melanie Campbell, CEO of The National Coalition on Black Civic Participation and convener of the Black Women’s Roundtable (BWR) has been in Georgia partnering with a coalition of Black women-led organizations to activate the Unity ’18 Power of the Sister Vote Campaign. The Unity ’18 Georgia Campaign focused on mobilizing some 100,000 Black women to vote in the Georgia primary in metro Atlanta, South Georgia and in more than a dozen counties. The NCBCP Unity ’18 Georgia Campaign spearheaded robocalls from Black celebrities who included: Sheryl Lee Ralph, Judge Glenda Hatchett, Judge Penny Brown Reynolds, Susan L. Taylor and others for a digital social media campaign targeted to 50,000 plus Georgia households of Black women voters. Yesterday, rides were provided to the polls and canvassing and phone banks took place around Georgia. The news of Abrams’ win was also personally exciting to Campbell. In addition to Abrams, other Black women candidates found success on Tuesday in the Georgia elections. They include Janice Laws won the Democratic nomination for Insurance Commissioner and Tabitha Johnson-Green, a nurse, seeking to unseat an incumbent in Georgia’s 10th Congressional District. Activist Lucy McBath will advance to a runoff in Georgia’s 6th Congressional District. McBath lost her teenage son, Jordan Davis, after in a racially charged incident in which he was killed by a white assailant who complained about his music. McBath has contributed opinion pieces about gun legislation reform and other topics for ESSENCE.